Xiaomi PocoPhone F1 Vs Apple iPhone X, which is the fastest? The Pocophone F1 is a superb flagship device that was released by Xiaomi. This smartphone delivers perfectly well and it offers a very impressive performance for little money. 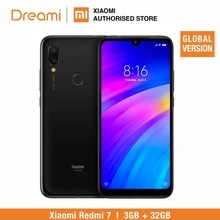 This device has unique features like a Liquid cooling system, IR face unlock, a clean camera, a great battery life and many others. But with the iPhone X by Apple, Do you think the Pocophone F1 can match up to standard of the iPhone X? Please find out in our detailed comparison. The F1 has a Plastic body. This smartphone comes with a very big notch at the front. The device also has a thick bezel at the top and bottom and has a round fingerprint sensor at the back. While the X comes with a Stainless Steel frame with a notch on top of the screen and it has no bezels. The device uses a facial recognition feature as it doesn’t have a fingerprint sensor. The F1 weighs 180g, while the X weighs less at 174g. The F1 sports a tall 6.18-inch FHD+ IPS LCD capacitive touchscreen with a resolution of 1080 x 2246 pixels, the screen has a pixel per inch density of 403. While the X sports a 5.8-inch Super Retina OLED capacitive touchscreen with 2346 x 1125 Pixels in resolution and 458ppi. Have You Seen This? Apple iPhone XS Vs XR: The iPhone XR Won Without Dual Rear Camera! While the X houses the Apple A11 Bionic chipset with Hexa-core processor clocking at 2.39GHz. In the RAM department, the iPhone X has 3GB and 64GB/256GB storage space. For the Software, the F1 runs on the Android 8.1 Oreo Operating system. While the X runs on the iOS 11 operating system. The F1 has a rear triple camera setup of 12MP + 5MP with a front/Selfie camera of 20 megapixels. While the X has a rear dual camera set up of 12MP + 12MP with a great front camera of 7MP with f/2.2 aperture. Have You Seen This? Xiaomi Pocophone F1 Vs Samsung Galaxy S9: Value for money? Powering the F1 is a 4000mah Non-removable Li-Po battery with fast battery charging. While the X is powered by a 2716mAh Non-removable Li-lon battery with fast charging as well. They have amazing specs, however, its obvious the winner here is the iPhone X. This is because it has a more sophisticated performance and its performance cannot be compared to the PocoPhone F1. But That doesn’t mean the PocoPhone F1 isn’t good as it has a great battery life and some excellent features offering value for money. But the iPhone X performs far better. Next articleSamsung Galaxy A9 2018 VS S9: Four Cameras or Snapdragon 845?